Kenyan opposition leader Raila Odinga was shoved into his vehicle on Tuesday as police fired rifles and tear gas to break up an opposition demonstration on the day of President Uhuru Kenyatta's swearing-in ceremony, which was also marred by violence. Opposition leaders were addressing supporters after being prevented from holding a memorial service for dozens of people killed during months of election turmoil. 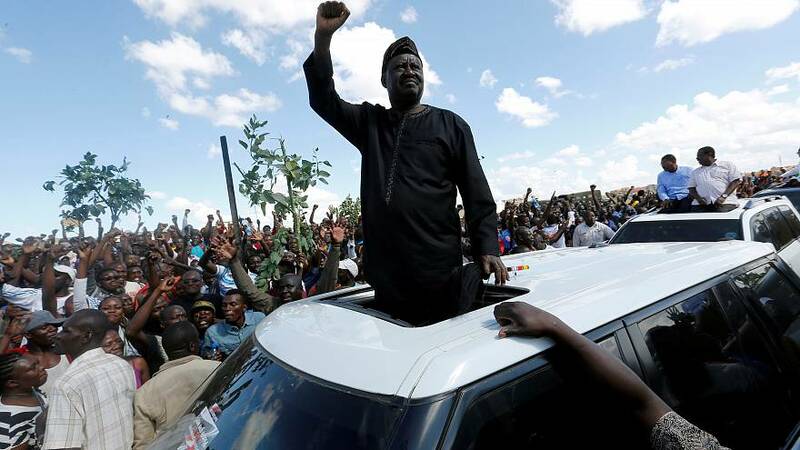 Odinga had just finished speaking to thousands of supporters atop an SUV when police moved in. As the sound of shots rang out and smoke from tear gas filled the air, protesters ran to escape and hid behind cars. Police were keen kicking and hitting some of the demonstrators. Odinga says Kenyatta's presidency is illegitimate and told supporters not to despair as he pushes for fresh elections. Odinga's legal challenge led the Supreme Court to nullify the August vote and he boycotted last month's new election, saying reforms had not been made.